When you think of painters associated with Manchester, Newton Heath’s Wynford Dewhurst may not be the first to spring to mind. 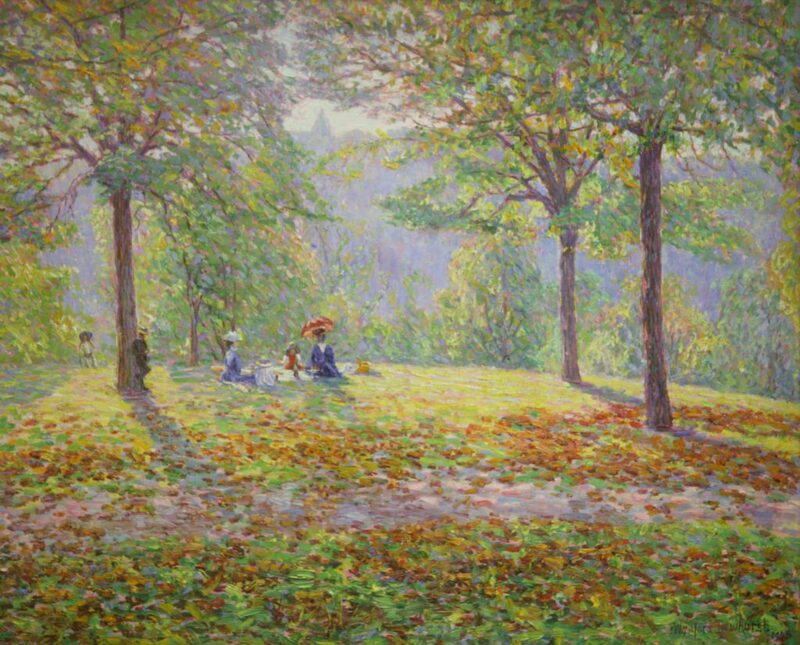 “Manchester’s Monet” is quiet a title for any artist painting in the impressionist style. Wynford Dewhurst has the title and his paintings do indeed echo those of Dewhurst’s inspiration, Claude Monet. In the first retrospective of Dewhurst’s work since his death 1941, Author and Curator Roger Brown has brought together the two works owned by Manchester Art Gallery(MAG) and a significant number from private collections not publicly seen before. Born in Newton Heath Dewhurst originally intended to enter the law as his chosen profession but also showed artistic flair having drawings published in local and national journals. This encouraged him to leave England at 27 to train at the École des Beaux-Arts in Paris, where he was a pupil of Jean-Léon Gérôme. After completing his training Dewhurst met and married Antonia von Bulow, also an art student. 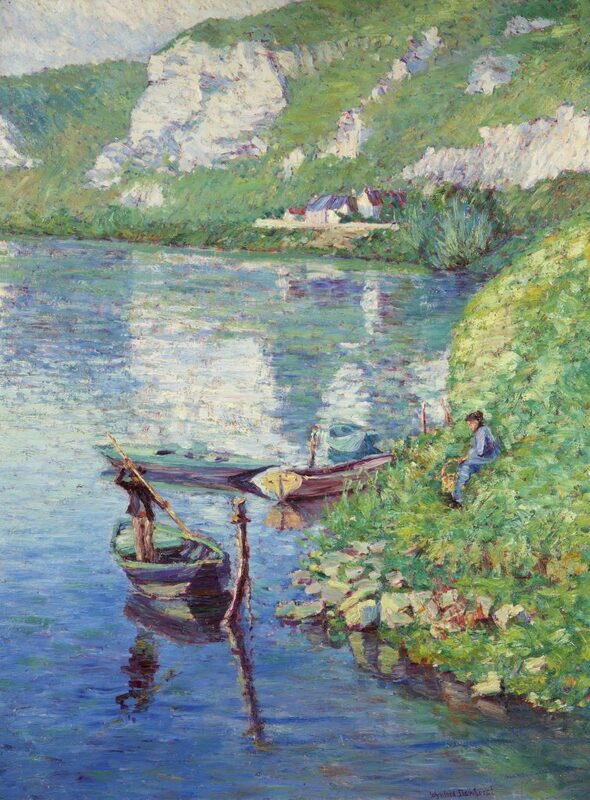 They lived in Paris before moving to Arques-la-Bataille near Dieppe. 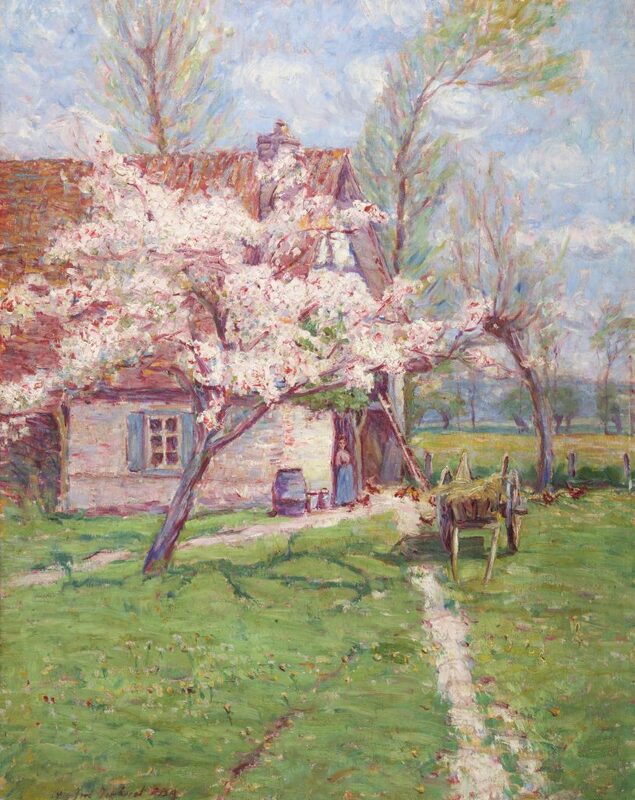 Referred to by the Daily News in 1910 as “England’s Claude Monet” Dewhurst was more than just a painter in the impressionist style. He also put forth, much to the annoyance of the French, the theory that French impressionism, stems from the impact the works of Turner, Bonington and Constable, had on Monet, who studied them almost daily when exiled in London during the Franco-Prussian war. Dewhurst wrote many articles for arts magazines and journals, and advocated the establishment of a Ministry of Fine Arts. From a personal perspective I found some of Dewhurst’s paintings very similar in their subject, and in their colour palette. whilst many displayed a light touch, some, and Haystacks (1895) is called to mind, showed the bold and heavy use of the palette knife. However, that is very much a personal view and in a blog it’s very difficult, without it becoming a book, to give a deeper insight into Dewhurst. 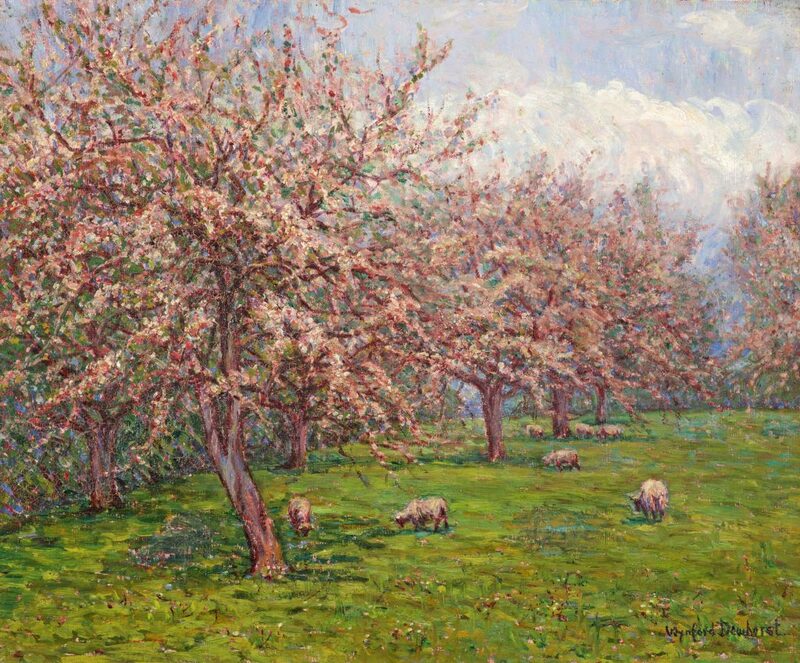 For that I found the Roger Browns book, Wynford Dewhurst – Manchester’s Monet, which accompanies the exhibition (and for which I thank him for some of the information used in this blog), a delight. The book gives an in-depth portrayal of Dewhurst the painter, the writer, the theorist and someone looking to forward art through a Ministry of Fine Arts, and with the exhibition brings together a fascinating story of a Manchester painter who, until now has gone largely unknown and deserves to be recognised more for his work. Perhaps there should be a Blue Plaque in his honour!